What Does Standard of Living Mean in Eastern Europe? In Eastern Europe we have seen a lot of things, mainly unpleasant, which is why it will not be a rarity nowadays to hear Eastern Europeans saying with sarcasm that the Western Europeans are drivellers and why are they weeping that they have become poorer. Do they know what poverty is? Do they know what misery is? And if the Western Europeans are smart they would answer back - why do we have to know? But, this is a question for Western Europe to answer to and there is no better time to do it than now. Eastern Europe, however, should answer another question - what does 'standard of living' mean? For most people this means money. It is high time someone to remind Eastern Europe that it did not enter the EU in order to raise its standard of living, i.e. wages, because if European politicians and leaders have missed to notice, worried with the eurozone rescue, in Eastern Europe some frightening trends have emerged. There is a very significant deviation of visions between the eastern and western half of Europe about what standard of living is. For the more developed Europeans it does not only mean more money in the pocket but is a package which includes getting high quality public services (health care, education, government, cleanness, order, security, etc.). It also means good infrastructure and opportunities for development - personal, professional and business development. For the still catching up eastern half, a large part of the content of this package is something distant and difficult to comprehend but in each country the level of comprehension or non-comprehension is different. Those that are closer to the developed part had apprehended something from the gravitational force of public goods and are trying - some with bigger, others with smaller success - to apply them at home. The more you go to the east the more the criteria fall and the 'standard of living' and much more other criteria start to matter. But everyone agreed their leaders to put their signatures below political and economic criteria for EU membership, the purpose of which is precisely the famous cohesion between the underdeveloped east and the developed west. And, by the way, cohesion is not just a term from the negotiations on the next multiannual EU budget, but this is another topic. What is going on in Eastern Europe? The first red lamp that there is something wrong in Eastern Europe, flashed last last year during the Hungarian EU presidency. 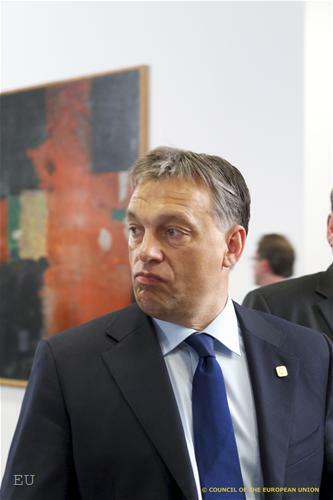 And if Hungary did not take over the presidency, the problems in the country could have not surfaced for the broader European public. 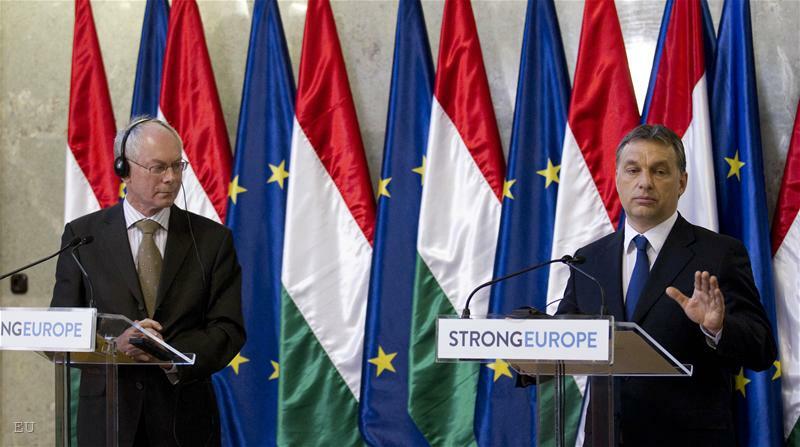 In Hungary came to power a right-wing government, led for a second time in the post-socialist history of the country by Victor Orban, having also a full majority in Parliament. Mr Orban did not waste time or efforts to take advantage as much as possible at an early stage from his government and to pass legislation that would serve him afterwards. He led a constitutional reform and had a media law passed that raised significant doubts whether their aim was not deprivation of independence of the media, the central bank and the judiciary. Thanks to the coincidence of his governance with Budapest's debut as a Council president, Victor Orban had to face a number of times the MEPs in Strasbourg, the critical media in Brussels and his colleagues from the EU and to explain to them what he was doing and most of all why. Regretfully, Hungary is not an isolated case showing symptoms of a fading democraticsm in Eastern Europe, calling memories about not so distant communist past of totalitarianism. Another example rarely being spoken of at European level is Bulgaria, which has been governed for 3 years now by a populist premier, who is another product of Bulgarian voters' taste for personality-built parties. 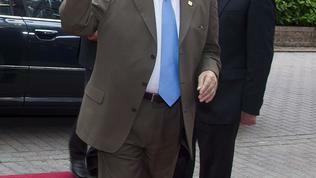 Boyko Borissov emerged on the political scene thanks to the former tsar, Simeon Saxecobourggotha, who made the former bodyguard of Todor Zhivkov, the communist-times dictator of Bulgaria, a senior figure in the Ministry of the Interior, from where Mr Borissov started his skyrocketing political career. He was elected a mayor of Sofia with a solid majority by the citizens of Bulgaria's capital city. He liked governing and set out for the national scene. He created in his image a party, which he stated to be right-wing - GERB (Citizens for European Bulgaria), which is even a member of the European People's Party. Alas, his governance can be distinguished mainly with the building of a personality cult for now Prime Minister Boyko Borissov, literally. There is no event in the country without him participating - be it a football game, a round table for EU funds absorption or a concert. Nothing happens without Mr Borissov's approval - not even whether a real wildfire should burn or not. To summarise - in Bulgaria there is no longer a government, not even a parliament - there is only the personality of the prime minister. The group of former communist countries that demonstrate inclination to totalitarianism, has recently been joined with new strength by Romania, which for years is in a snail competition with Bulgaria, both being in one and the same surveillance procedure on their incomplete reforms in the area of the judiciary, with which the two countries were accepted under conditionality in the EU in 2007. In Bucharest an ugly drama is unfolding, which even managed to emerge under the spotlight in Brussels. 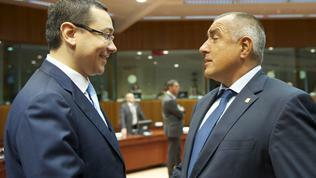 After otherwise successful fight with the economic woes of the country, the nerves of the Romanians from austerity and constant promises that just a little bit more and everything will be better succumbed to the pressure and they elected the social liberal 39-year old Victor Ponta to govern them. 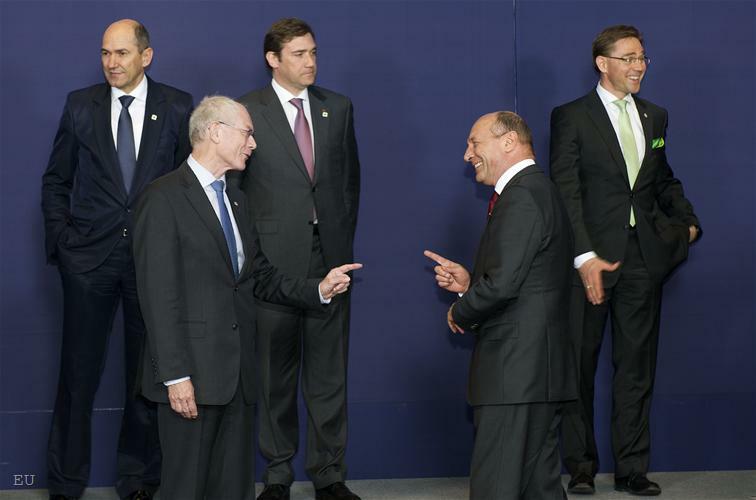 Mr Ponta is a prime minister as of May this year but in this short period of time he managed to create a deep conflict with the long-serving president, Traian Basescu. 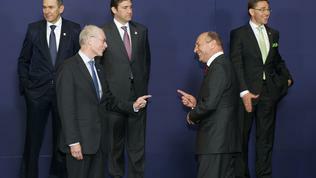 The two men's incapability to bear each other has reached such a scale that the Constitutional Court had to rule whether Basescu should represent Romania at the EU summit in end-June or the prime minister. The court ruled to the benefit of the president, which enraged the young premier, for whom evidence appeared that he plagiated for his doctor degree in law. 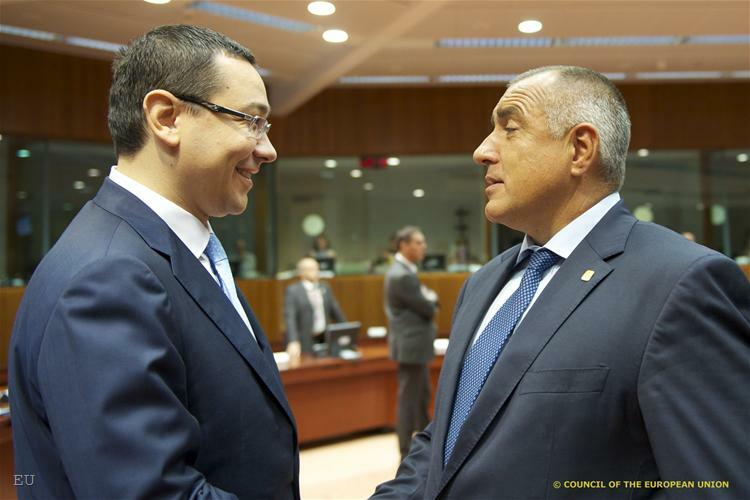 Overriding the court's decision, Victor Ponta decided unilaterally to leave for Brussels, thus putting to a test the rest of the EU leaders who were wondering whom they should talk to - Basescu or Ponta. After his returning home, the premier decided to continue the battle and at the moment there is an impeachment procedure taking place against Basescu, while the Constitutional Court is threatened by replacement. 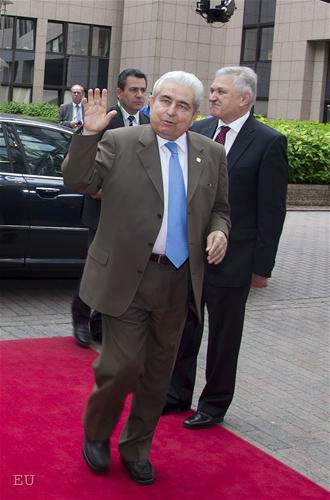 The issue with the situation in Romania was raised during the official hearing of Demetris Christofias, the president of Cyprus, in the European Parliament in Strasbourg. Joseph Daul, leader of the right-wing group (EPP), called on the Cypriot president to pay attention to the political crisis in Romania. "Our group shares the Commission concerns and I am begging you not to leave on a vacation in the upcoming months but to watch over this process, as we all will", Mr Daul said. Concern with the situation in Bucharest expressed the vice president and commissioner for justice, citizenship and fundamental rights, Viviane Reding. On Twitter she wrote: "I am seriously concerned about recent attacks on the independence of the Constitutional Court of Romania". The European Commission warned Romania that at the moment it was summarising the report for the 5-year work of the Control and Verification Mechanism and "recent developments may be putting at risk the progress made over the years". The Commission recalls that "the rule of law, the democratic checks and balances and the independence of the judiciary are cornerstones of the European democracy and indispensable for mutual trust within the European Union". The processes in these three countries are only the most severe ones, suffering from recidivising practises and showing that it is compelling to make an urgent analysis of the reasons why democracy finds it hard to settle down in these countries more than 20 years after the fall of the Berlin Wall. One of the reasons, without me having the pretences of being exhaustive, is precisely the eurozone crisis, which forces EU leaders to often "excuse" themselves with the democratic processes that require time to deliver. As a while ago Sony Kapoor wrote on Twitter, on the occasion of the G20 summit in Mexico, "do we not want 2 b democracies?" since this is used as an excuse that the eurozone crisis is deteriorating. As a part of this reason is also the Eastern Europeans' discontent that they had joined the EU hoping their incomes to increase and to start living like Western Europeans, but in their eyes the model of welfare that Western Europe had achieved failed. Here, you see, many Eastern Europeans say, they are rich but with mountains of debt. Their disappointment is additionally enhanced by the fact that (no matter how cynical this may sound) there are still a lot of living witnesses of communism who, thanks to human nature remember only the good things, remember how often they went for summer vacations (2-3 times a summer), how electricity, central heating and bread were cheap and now profligate Western Europeans not only deprived them of this but they also wait for the poor Eastern Europeans to give them money to protect their high living standard. There is nothing more harmful than such a type of thinking but it is based on the lack of sufficiently adequate talking about what is going on, why are we together and what can everyone of us do. The Hungarians, the Romanians and the Bulgarians need to be urgently told that a large part of the blame for their misfortunes lies not in London, Paris or Berlin, but in their own capitals. If someone had not made us rich it is ourselves, who thought that someone else had to do this instead of us. And we elected people that promised this to us. We have to be reminded that we did not join the EU only to absorb the "European" money (as if this is some different money). 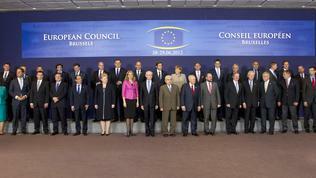 We joined also because we claimed that we share the European values of freedom, democracy and human rights. The op-ed author for the Romanian daily Adevarul, Mircea Vasilescu, very much wants to believe that dictatorship will not come back. "It’s true, isn’t it? ", he asks and responds to himself: "There is a Parliament. Of course, the parliamentary opposition could be cut to one percent, as Crin Antonescu desires. 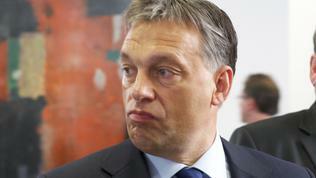 But we will continue to hold 'democratic' elections – probably along the lines of Belarus or Serbia under Milosevic. Who can possibly oppose it? In any case, the press no longer has the influence it had in the 1990s, and strictly speaking, it could be muzzled by a press law. Civil society and citizens must wake up now to defend the rule of law and democracy. When we have to buy our food with ration cards once again, it’ll be too late", Vasilescu writes. Super, super superficial, so so shallow, but i guess you're not a proffesional journalist!?! Can you please define "professional journalist"
If you want you could also check "advocacy journalism" so you can find out what you're article looks like. I'm not saying that I don't like it at all, but I'm not sure if it's really objective. Western Europeans are more hypocritical than you think. As expressed in the article, Eastern Europeans are like children waiting for presents on Christmas. And it's partly true. They're waiting somebody to save them and rule for them, as it was in "communist era". But please don't forget that communist children are quite old now. This is the problem of this article - there is only one point of view... something very common for Bulgarian journalism, but not really responding to journalism ethics and standards in general. it is really funny how some people think that they understand a situation. It is also striking how 20 century view of democracy, east and west is still floating around as an gost. In the 80s when GB was in crisis, they had a prime minister exhibiting the same totalitarian features, even worse, if I am informed correctly (smashed demonstrations, compleat political control, one person leadership as well as very right orientation). But this is never called dictatorship only an iron hand. It is sad that some countries including mine Bulgaria flow this extremely right path and that corruption and big corporation interest is eating every good thing ever done. My opinion for this paper is that such attitude and point of view will destroy what Europe is about. 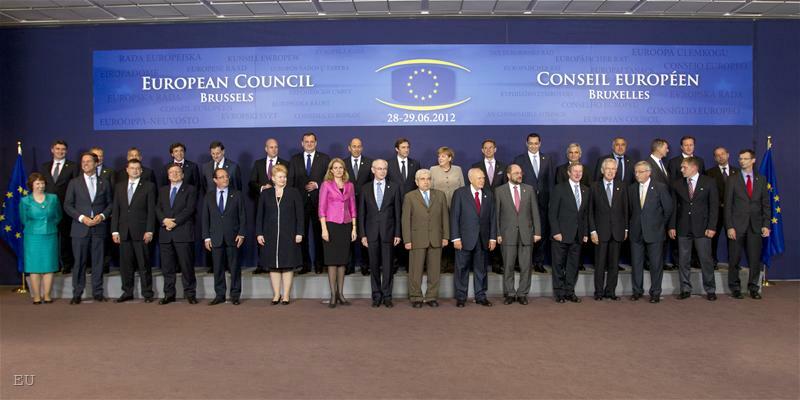 At the moment, as sad it is, there is no real democracy any ware in Europe. Politic is heavily influenced by big corporations and money and your voice is as strong as you can buy. The author thinks that we are in EU "only to absorb the "European" money" as they come from somebody else but from us. For example Bulgaria has the lowest "absorption " of EU funds, which means let say Belgium "absorb" more that Bulgaria. Why we think that big countries politic is influencing in a bad way us- well it is simple one big corporation (they usually come from one of big west countries) will have an office in let say London and Sofia- in London you will be paid 2000£ in Sofia - 500EU for the same job, it is rather big profit isn't it! The corporation will pay taxes not in Bulgaria, but in some islands, so our infrastructure, public transport or education will not benefit from this business, so our quality of life will actually drop. And on the top the corporation will buy already existing company from the government as privatization for no money. And so on, the situation is a little more difficult than "you vote right, we vote wrong", so I guess the previous respond about "professional journalist" is more about that the paper is not deep enough, it is not based on real data from economical and political situation in these countries, but on shallow observations with not really put effort to obtain more information which will be in the scope of a " professional journalist". This is way the paper looks like from a blogger writing about his own opinion. So, I think instead of pointing fingers to each other we need to focus on our real problems which seems to be relevant for the East and West Europe. No mention of Poland, Czech and other western Slavic countries. Living on credit? PIIGS vs. BELL (Bulgaria, Estonia, Latvia and Lithuania). BELL countries suffered much sharper GDP drop in 2009 than PIIGS, however they managed to adjust quicker as they were outside EU’s financing. Consequently, they were swifter in adjusting their unit labour costs (with the exception of Ireland), as a result their 10 year old bond yields have been lowered as a sign of confidence. You pick up a fight after just one comment? How insecure and weak is your personal opinion? A senior editor is someone who is able to defend his or hers position. I am surprised at the aggression of all of the comments so far and I wonder what provoked them. I am not picking up a fight against only one comment. I only want that one comment to be more specific in its criticism. Because, you see, it's easy to say you don't like something. What makes it difficult is to say why. Much more well defended comments followed and I do appreciate them no matter that I disagree with most of them. These comments show that the topic is interesting and is timely. However, I don't understand and find it hard to accept "shallow" and "superficial" criticism. But I think, which is also part of the definition of a senior editor, that these comments provide much of a ground for further research of the complexities of the Eastern European mentalities (in their full variety and diversity). Само не мога да разбера защо се възпалиха толкова г-жите и господата Неда, Мила Константинова и Джони Де ла Мутра? И липсата на коментар по темата а заяждането с автора е типично българско. Или си упражнявате само английския тук? Моля споделете все пак къде се събирате и насъсквате че ще умра от любопитство? the comments above are not aggressive, they simply strongly disagree with your point of view, because it is destructive and based on dividing people. They perfectly say way they think is shallow- because you show East and West in a not-objective rather old way of two distinct platforms and people. The truth is not so simple neither westerns are so democratic and wealthy nor eastern's so poor and prone to totalitarian regimes. If in the paper was not seen this comparison it would of been not so tendentious. What EU is trying to do is to consolidate so called east and west, while this paper dives them. So this is way it is sad to see something like this written. Че какво, пак нямаме право на мнение, така ли? Не сме съгласни, значи сме злобни и се заяждаме, насъскани сме... Стига с това плоско мислене. Статията не е лоша, просто е насочена и това не я прави обективна. Един журналист не си защитава мнението, явно авторката е от школото на Д. Найденова...и пияният админ и той... Още малко и ще ни линчува. Един от доводите, които ме притесняват, е свързан с фондовете - нито по селската програма, нито по регионално развитие взимаме толкова, колкото даваме. Познаваме много зле евро процедурите и не успяваме да използваме, отделените ни от ЕС пари. А що се отнася до директните проекти към ЕК, въобще да не говорим. Също така Унгария не е и никога не е била източноевропейска държава. Говорим за комунизъм, демек от историяеска гледна точка... Скоро ще се каже, че и Унгария е била източноевропейска държава...после и Източна Германия...голямо оплитане стана. ЕС не е създаден, за да защитава европейския морал и ценности, а по чисто икономически причини. Нормално такива да са и в голяма част причините за присъединяване към Съюза. Такива са тези на Кралството, когато най-накрая се примирява и става евро член началото на 70те...или поне от части... Действително Лондон често е спъвал съюза и няма какво да го изкарваме примерен европеец. Демек най-голямото правило за ЕС е, че всеки си гледа интереса, а с ценностите се опитваме да нараме данъкоплатеца да не се оплаква и да плаща администрацията на ЕС, белким разбере защо един ден. Недке недей с таз злиня де, все пак си разбрала какъв ми е моя личен проблем и най-накрая си се изказала по статията. Останалите глупости че нямате право на мнение и бла бла ще ги подмина. Все пак имаме модул за коментари ползвайте го. Но първите ви мнения по статията бяха от типа : тая журналиската Руса ли е или се боядисва? Малко по сериозно, все пак сайта не е форума на БГ-Мама. Благодаря за отзивчивоста и за допълненията към мненията ви. Нещата почват да придобиват вид на дискусия. Извинете, Неда, но вероятно ползваме различна литература. Всички страни от източната страна на Желязната завеса се приемаха за Източна Европа. Факт е, че страните се различават помежду си по много неща, но и по много си приличат, което е и идеята на статията. Тя разглежда един основен проблем и той е как се разбира словосъчетанието "стандарт на живот", анализиран на база политиките на тези страни и поведението им на европейската сцена. Статията няма за цел да сравнява Западна с Източна Европа, а да постави един проблем, който е сериозен и на който е хубаво да се обърне внимание, включително и с тези дискусии, които водим тук. В този смисъл текстът няма претенциите за обективност. Това е анализ на три случая, с два от които ЕС се занимава. По отношение на ценностите - в случая няма значение по какви причини е създаден ЕС. В момента е важно какви са неговите ценности, ясно разписани във всичките му договори. Именно затова и става дума в статията, че всички страни-членки са ги разписали. Впрочем, не приемам аргумента, че понеже има и други западноевропейски страни, които не спазват тези ценности, та затова да не съдим себе си, защото всеки трябва да гледа своя ангажимент и да го спазва, а когато го спазва тогава има правото да казва на другите, че не го. Виждам, че сега е модерно да се говори за поръчкова журналистика, за необективна и т.н. и вероятно имате много основания за това. Предпочитам обаче да се концентрираме върху този текст и да обсъдим кое на него не му е обективното. To Mila. I think it's a bit exaggerating to claim that my article is destructive and dividing people. In what way exactly? I'd say that the aim of the article is quite the opposite - to show a problem, which if not addressed could be a source of serious problems. The Western European countries also have major problems but they are based on different experiences. Analysing those things soberly, without getting offended of a real division in perception, would help us all, the entire EU, to better understand which way forward is better. The risk of Hungary, Romania and Bulgaria being dragged down to the past of totalitarianism, is big and this is another point in the article. I'm sure that a much better article can be written on the same subject and I wish such is written because it would really enrich the debate that I deem rather necessary. Не разбирам защо се вдигна толкова шум. Аз живея в България и определено смятам, че проблемите в манталитета и разбиранията, за които става дума в статията са налице. Разбира се, че нещата рядко са черно-бели, но понякога, за да направим някакъв начален анализ, е допустимо да отстраним светлосенките. И като стана дума за поръчкова журналистика, хайде да попитам кого точно смятате, че обслужва тази статия? We want all romanian people to be able to express themselves freely. Romanians living abroad are against the new Romanian govt. policy of abuse. The people in power now in Romania would do anything to prevent the impeached elected president from coming back. 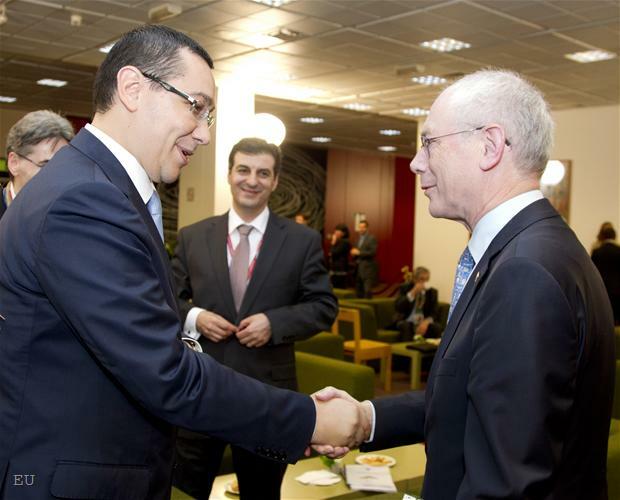 Victor Ponta reduced the number of voting centers abroad so significant. In USA was 28 voting centers at last election and now we have just 4. This is an obvious limitation of the constitutional right to vote for Romanians citizens living abroad. We don't have right to vote online or using mail for this election. I signed two petition for Jose Manuel Baroso and EU Comitee. Through my signature, i am asking the Romanian Government to take immediate action for addressing this issue. The number of voting centers should be maintained same as during previous elections, as there has been no decreased in number of Romanians living abroad.